So you already know you want a CleverShade. Because of the quality and the fact it’s Australian made. Want to know another edge we have on our competitors? The CleverShade is custom made. This means you get to select the colour of your canopy and even frame. 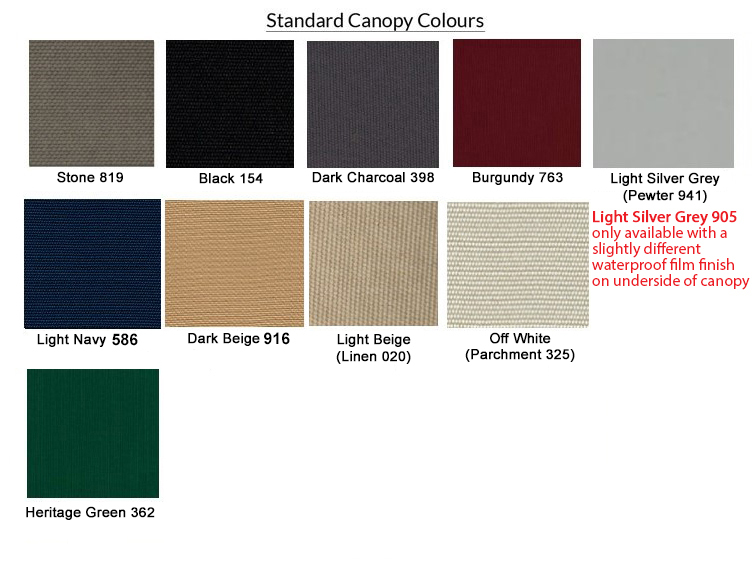 Our colour options are the same for both the CleverShade awning range, as well as the Revolvashade outdoor umbrella range. Take a look below. 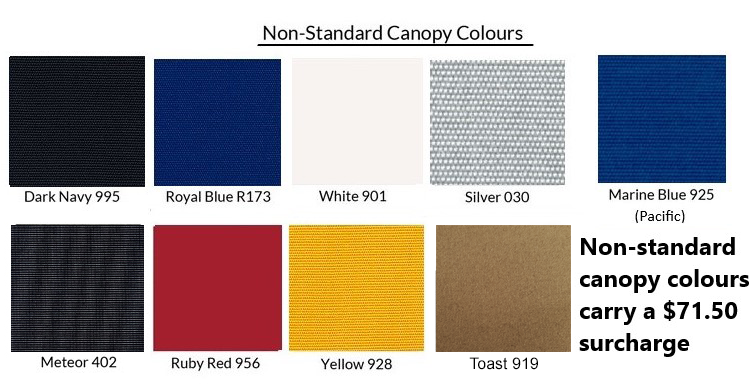 Our canopies come in so many colours you will hardly believe your eyes. The most popular colours are those in our Standard colour range. We stand apart from our competitors because of our ability to make a custom awning just for you. We can also offer you an even larger range of options in our Non-Standard and Premium colour ranges. Our new ranges include some modern designer colours and textures that will make your CleverShade a true standout from the rest. 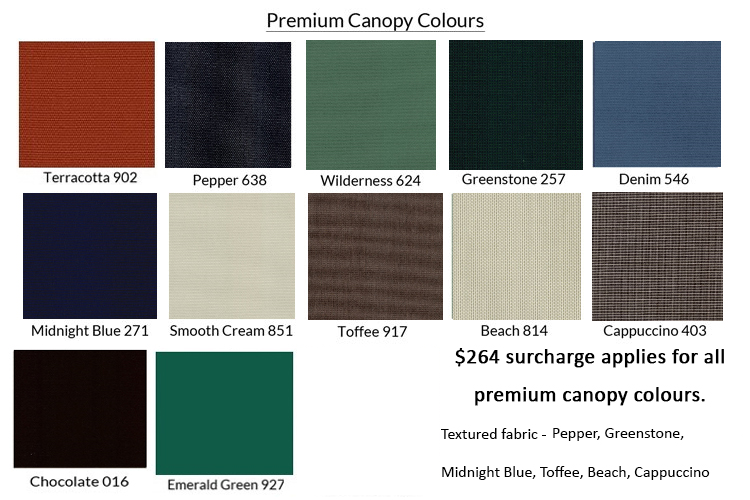 Our non-standard and premium colours do incur a surcharge. This is due to the material being in much smaller cuts and requires more time and sewing on our part. If there is something you’re after that you can’t see listed or in our pictures, please contact us so that we can help make your vision a reality. 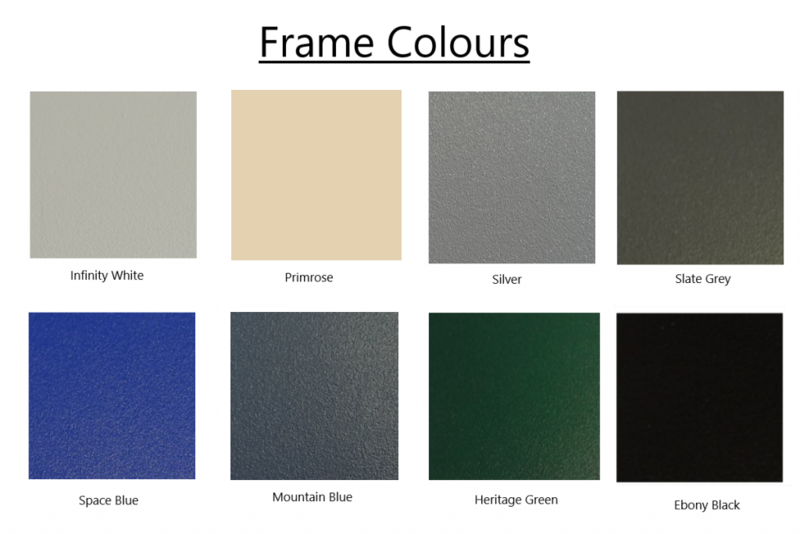 The frame colours available in the textured Sahara range are: Ebony Black, Heritage Green, Infinity White, Mountain blue, Primrose, Silver, Slate Grey & Space Blue. 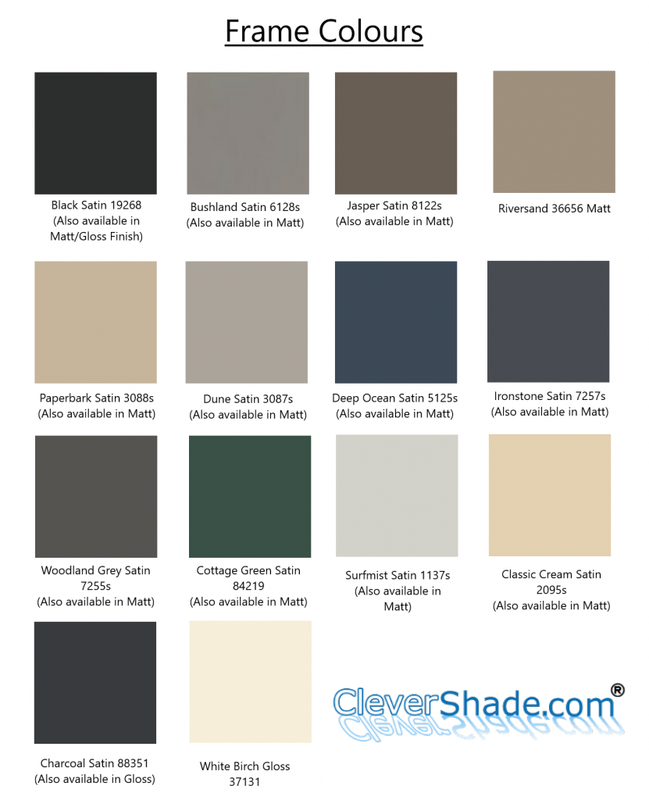 We also offer a satin or gloss finish in the following colours: Black, White, Silver, Navy, Charcoal, Heritage Green, Primrose Cream and Ivory Coast. Just in case you have your heart set on a particular colour that isn’t listed we can also do any of the colours from the Colorbond and Dulux powder coating ranges, you just need the code for your favourite colour. Below is a picture of the sample frame colours available. Colours may vary due to different screen settings. Surcharges may apply. Contact us if you have any questions or have your heart set on a particular colour not in our range. We’ll see what we can do for you!